More than 1,300 men, women and children, all living with a variety of disabilities, seek their own paths to personal fulfillment and independence with the help of programs and opportunities made available at Becoming Independent (BI). Developing since BI was established in 1967, our programs provide instruction in activities and skills essential to successful everyday living. The skills are wide ranging and include the most basic and incidental, to the very sophisticated and personal. BI provides individualized programs for each person served, promoting personal choice based on areas of interests and passions. (Photo 2: Larry Young (on left) works with Lea Ronald (Becoming Independent’s Sonoma Director) on computer skills). As the North Bay’s largest nonprofit human services organization dedicated to people with developmental disabilities, BI services are available in Napa, Solano and Sonoma counties. We are dedicated to “promoting community inclusion and participation for people with developmental disabilities. 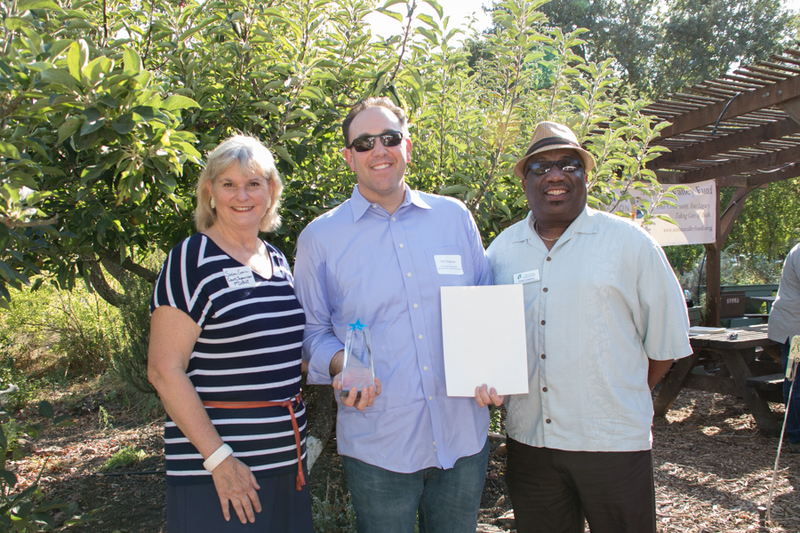 Eric Gullotta, pictured here with Susan Gorin and Fred Coleman, joined BI’s Board of Directors in 2013 and dove into his role with gusto and a willingness to lend his talents wherever needed. He has embraced leadership opportunities, serving on the Finance and Audit Committees, and now as President of the Board. Eric’s energetic nature enables him to excel in his law practice, as owner of The Sonoma Stompers, and as a committed ambassador for Becoming Independent. He models behavior with his generous personal philanthropy and encourages others to join him, leveraging his connections to benefit the people served by Becoming Independent.